If you have any questions regarding this Tool Project please E-mail "INSAYN". So here's the deal: In my quest to build a full tube chassis for my baja bug I decided to stock up on the tools most suited for the job. However, I am one of those guys that looks at something made of metal and, questions the price tag. 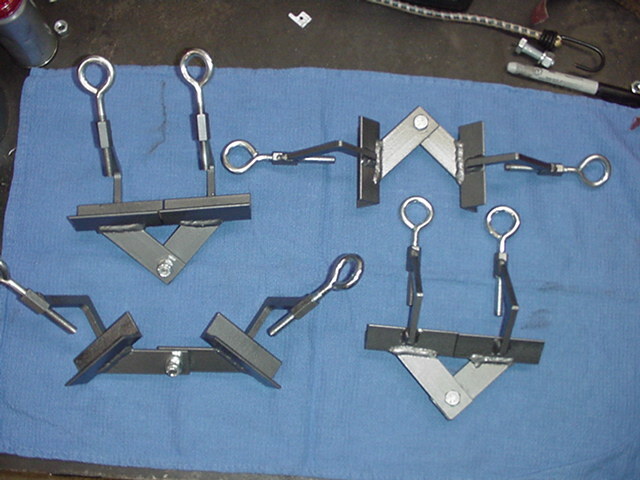 I cannot see spending nearly $20 each for a simple tool like a tube clamp. In fact, I cannot fathom shelling out $10 for a pair of them. So, with the trusty thinking cap on, I pondered my own variation of the tube clamp. 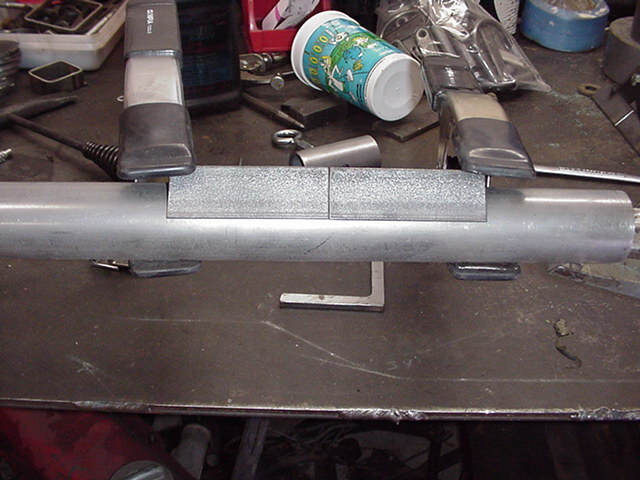 I was able to successfully build 6 complete tube clamps for around $15 in hardware, scrap metal pieces, and paint. Most of the cost was from the "eye" bolts. 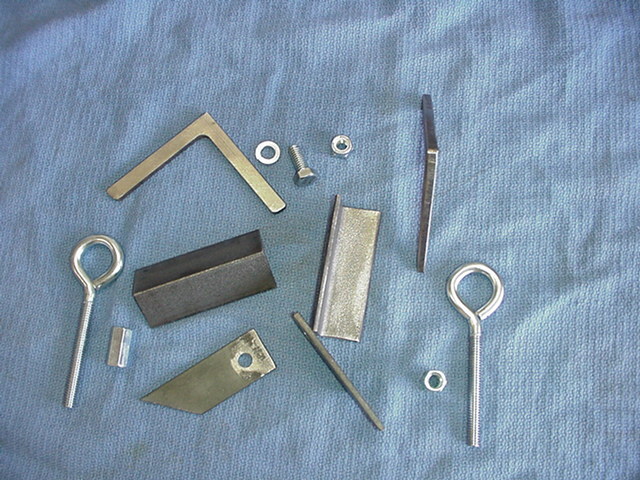 Anyone that has moderate fabrication skills, and access to basic metal can make their own set. You will also need various nuts and bolts. I decided to use an eye bolt, and long HEX nut, for the screw down. And used a simple bolt, lock washer, and Nyloc nut, for the pivot. Look closely to the picture below, see if you can figure out what I used for the 90 degree arm. 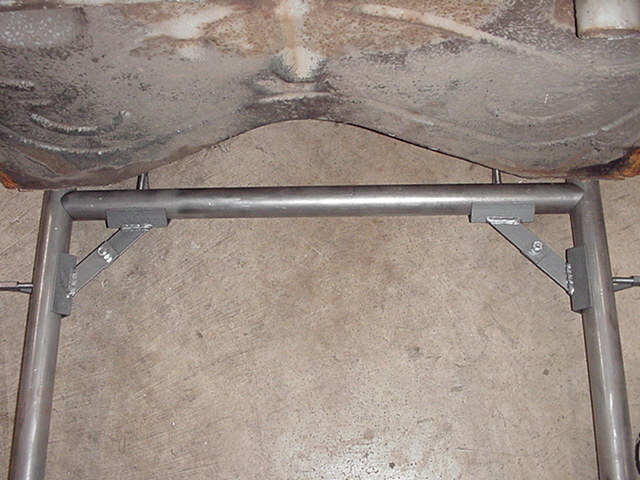 The angle iron used for resting the tube in, is simple 1"x1"x1/8" Angle iron cut at about 3" lengths. 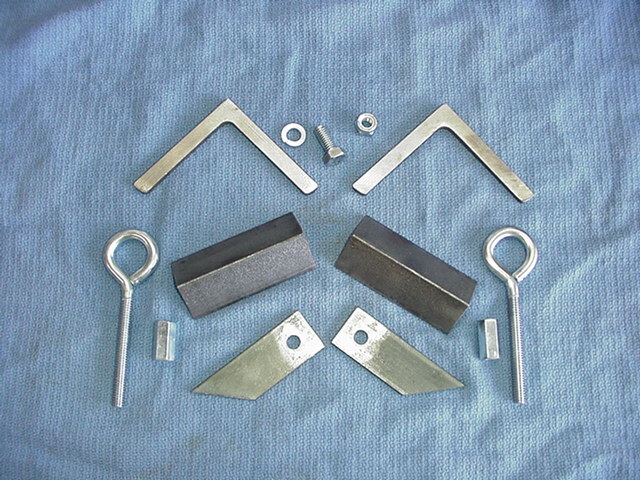 The pivot parts are made of 1"x1/8" Flat bar and cut to about 3" also. 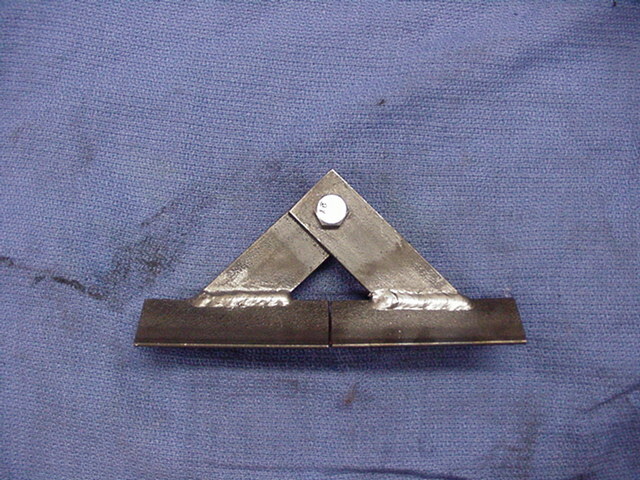 Then one end of each piece of flat bar was trimmed to 45 degrees, the other end had a hole drilled in to it. Here is the basic assembly route that I took. Unfortunately I did not get pictures of when I added the uprights with the eyebolt camp. 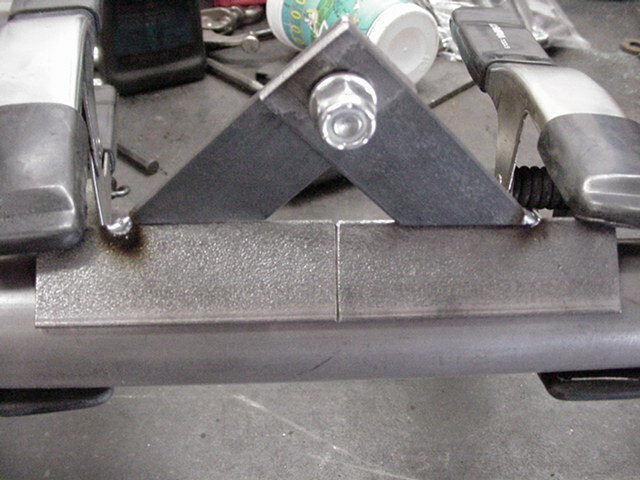 If you decide to tackle the project yourself, just take time and build a simple jig to hold things square when getting everything tacked together.